We partner with the largest cell network in the country to give you unparalleled coverage, as well as access to the latest devices like Samsung Galaxy and Apple iPhone. The Best Coverage – Anywhere. We’re backed by the largest 4G LTE network in America. 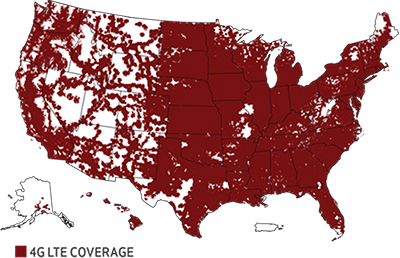 That means that no matter whether you’re in Abercrombie or Albuquerque, you’ll have coverage. 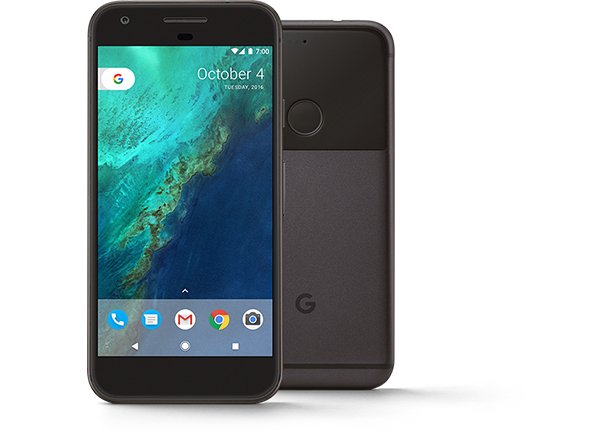 We carry all the latest phones from Google, Apple, Samsung and more. Oh, and did we mention you can get a new smart phone starting around $35/month? Not too bad. Pick your plan with a few minutes or a lot of minutes with a little bit of data, a lot of data or no data! Peak minute plans include free nights and weekends, starting at 7 pm and ending at 5:59 am; anytime minute plans do not include free nights and weekends. Unlimited data plan speeds for smartphone lines will be reduced after 22 GBs of consumption to a speed of 64 KBPS. Pick your data, pick your devices. Each plan comes with unlimited minutes and texting. Get unlimited data*, unlimited talk, and unlimited texting. It’s like an all you can eat buffet for your phone! *Multiple unlimited data plan options available based on video streaming, quality mobile hotspot, speeds and data throttling thresholds. Data is throttled to lower speeds after 22GB of usage (per phone line) or 10GB of usage (per hot spots). 4G LTE high definition compatible devices are required. Call for more information. Want to get Red River Cellular? Fill out the form below and we’ll contact you soon! You can also call us at 701-553-8309 to get more information.